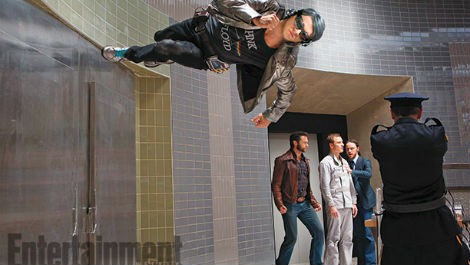 Starring: James McAvoy, Michael Fassbender, Hugh Jackman, Jennifer Lawrence and more. A MARVEL-ous reunion! 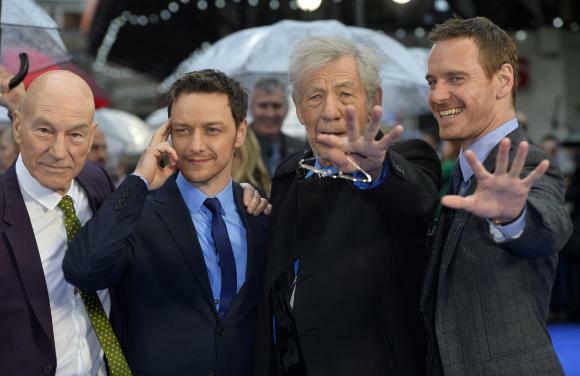 Director Bryan Singer returns to the X-Men franchise (he directed the first two X-Men films) and with him returns Patrick Stewart, Ian McKellen, Halle Berry, Hugh Jackman and more of the original cast to join James McAvoy and the “new” and “younger” faces of the movie mutants. This sequel to the 2011 blockbuster X-Men: First Class comes right off of the pages of the graphic novel from which it is both derived and named after and it is such a great thing to see Singer back in the director’s chair! A problem with so many superhero films is the “known safe ending”: the good guy lives, wins and the world is saved. It makes the genre hard to swallow at times. Singer successfully forges together a superhero film full of suspense with threats around every corner and unexpected excitement at every turn. 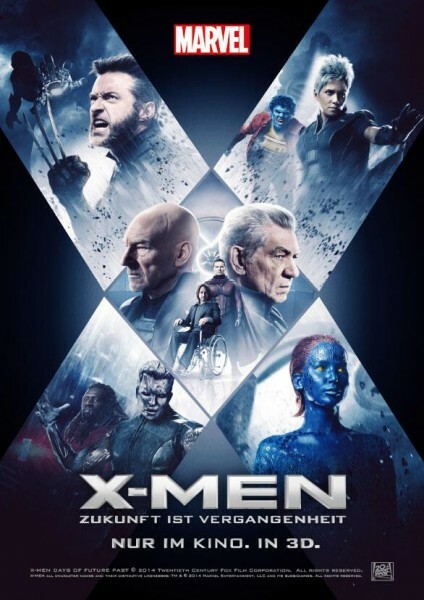 Much darker than the previous films (way to go in smartly following the trend Christopher Nolan made successful), X-Men: DOFP keeps the attention from the word “go” and draws fans deeper into the worlds of the X-Men than ever before…and it’s so well done! With excellent acting (having Patrick Stewart and Ian McKellen DEFINITELY adds major bonus points to the film’s credence), fantastic action, understandable plot sequences/motives and teases of what is to come (along with, perhaps, a few jabs at the way in which the non-Singer X-Men movies went), X-Men: Days of Future Past is a non-linear, action-packed and character/story driven comic book movie that needs to be seen NOW! I saw it twice. Once in 3D and once in 2D. 3D is unnecessary and is my only gripe about this film, all things considered. Hopefully you’re not expecting a great score for this one. If you are…look away now to avoid disappointment. This movie is a million minutes too long with a million jokes done a million times over that somehow stars a million different actors and yet still manages to be a million times worse than my already low expectations. Perhaps I can list a million reasons why this film should’ve died in the West. 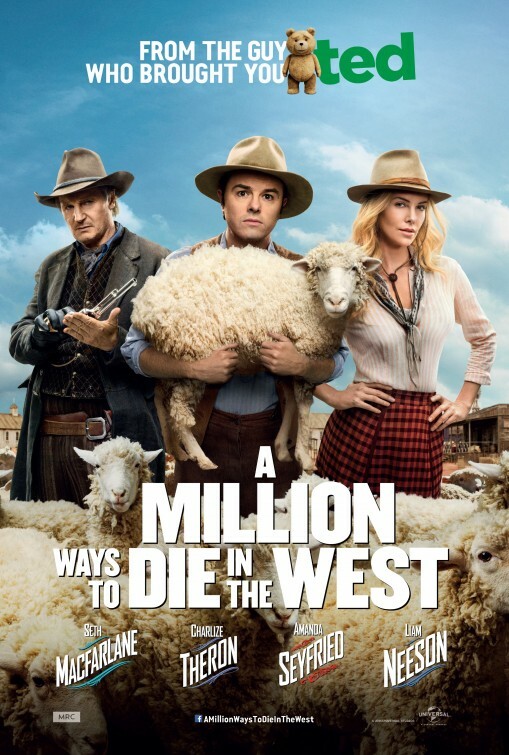 The only interesting thing in this offensive, boring and flat out stupid comedy of Seth MacFarlane that only made me laugh…nay, chuckle…once is the inexplicable amount of cameos that appear in the film. Oh yeah…and how pretty Charlize Theron is among the rest of the sparkly white-toothed residents of 1882’s dusty and dirty Arizona desert. Would you be surprised if I told you that Christopher Lloyd, Ewan McGregor, Ryan Reynolds, Patrick Stewart and even Jamie Foxx have a presence in this film? Well, don’t waste your time watching it in order to see them. It’s not worth it. Comedy is not watching Seth McFarlane falling over without ever getting drunk more times than the town drunk, nor is it watching all of the same clips seen in the trailers, nor is it listening to Sarah Silvermane service cowboys in the local saloon. There is nothing worth paying your money for with this. Even if you liked Ted, leave this waste of a 7 million milliseconds alone. Even though it opens up like and looks and sounds like Back to the Future at times, it is nowhere near the quality of such a western comedy. Lower those expectations even lower! Stromberg’s directorial debut is a darker spin on a Disney fantasy tale that surprisingly takes twists and turns that both mesmerize and mystify but are far from magnificent. Beautiful in its use of colors and special effects, I can tell you that while, in style, it looks like Jack the Giant Slayer…it is much better than that horrible fable-to-film. Granted, this is not the bedtime story you grew up with. Nor is it the story that perhaps you even imagined it would be. This female-led adventure is magical, imaginative and interesting but it never quite takes flight. 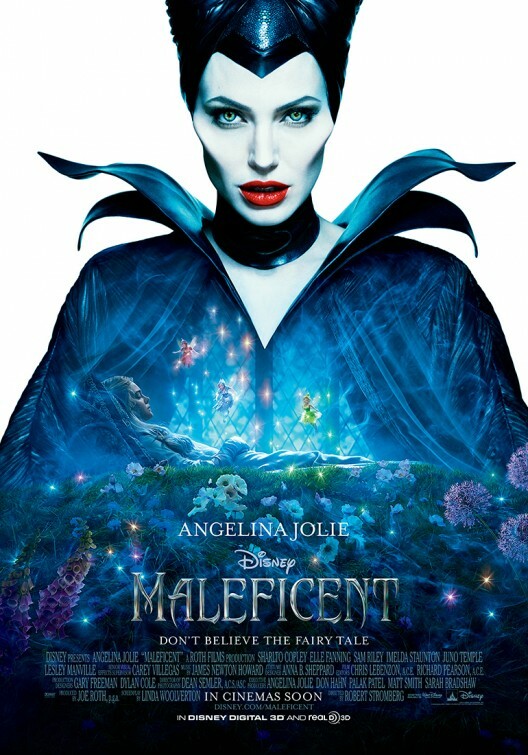 With an odd mix of casting choices (Angelina shines, Elle satisfies, Sharlto disappoints and is miscast), Maleficent is reduced to depending on its visuals and its story (which is lackluster) and takes one of Disney’s greatest characters and attempts to paint a different picture of her that not all will readily accept. Not because of the story told, but in the way it is told. 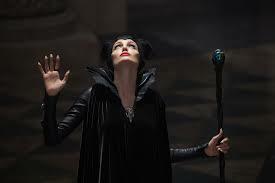 2 bits weird, 1 bit wonderful, Maleficent is the flip-side fairytale we were never told…and I almost prefer to have not been told. Running 97 minutes, the story’s telling seemingly takes 97 hours to occur and not for any enjoyable reason. 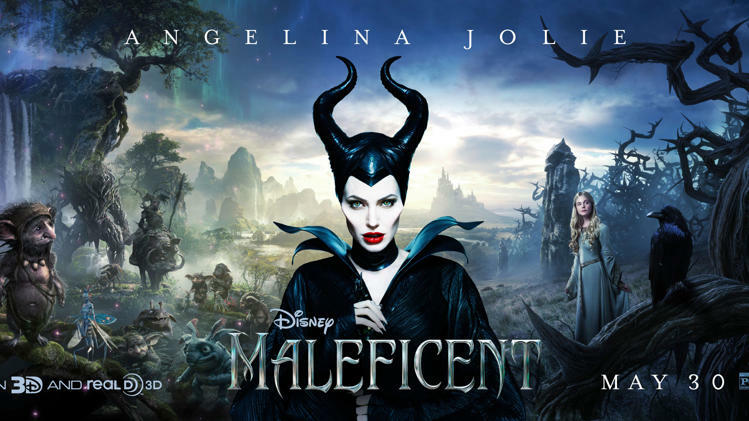 Full of characters and subplots that add little to the overall film, Maleficent squanders its potential and, while it has its moments, fails to have that sense of charm, captivating characters and charisma. Sadly, I much more enjoyed Maleficent’s character in Sleeping Beauty! At least by the end of that film I knew how to feel about her…in so much that she scared me and I haven’t watched Sleeping Beauty in over 20 years! haha. It won the box office on its debut weekend and it will be interesting to see its continued performance, but I think perhaps would-be ticket buyers are under her malicious spell. 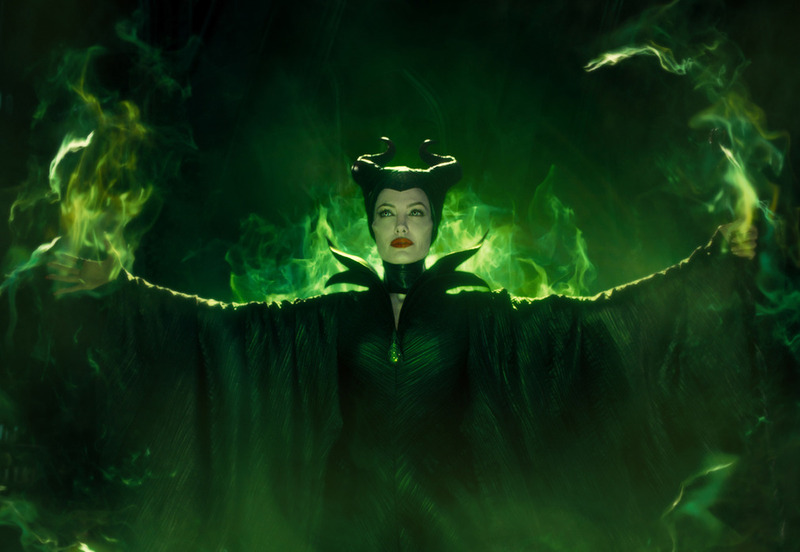 I wanted to like it more, but found Maleficent to be far from magnificent. Rent it at most! Come on! Give me 5 stars! Previous Movie News Monday for June 2, 2014. 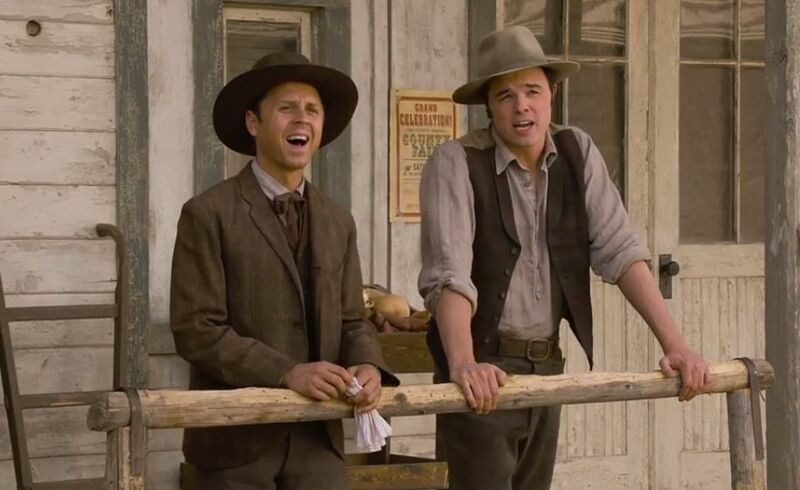 Saw A Million Ways to Die in the West tonight and agree with you a million times over. Dire.